Sneak preview: Searching for gift ideas for girls? Barbie gift guide- The most fun gifts for the Barbie lover in your life! Barbie is not a toy. It is a right of passage. It is also a mom right-of-passage to pass on this timeless tradition. In fact, Ruth Handler came up with the idea for Barbie while watching her own daughter play with paper dolls in 1959 and realized the importance of pretend play. 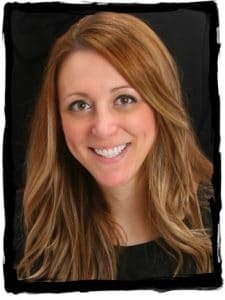 She noticed her daughter (Barbara) giving the dolls real-life rolls such as college students and career women. Barbie was always much more progressive than her reputation would lead you to believe. I SO miss Peach N Cream Barbie… but I do love all the fun new options for Barbie! She has come so far following Ruth’s vision now with Barbie Careers and the Barbie Fashionista line featuring dolls of all shapes and sizes. 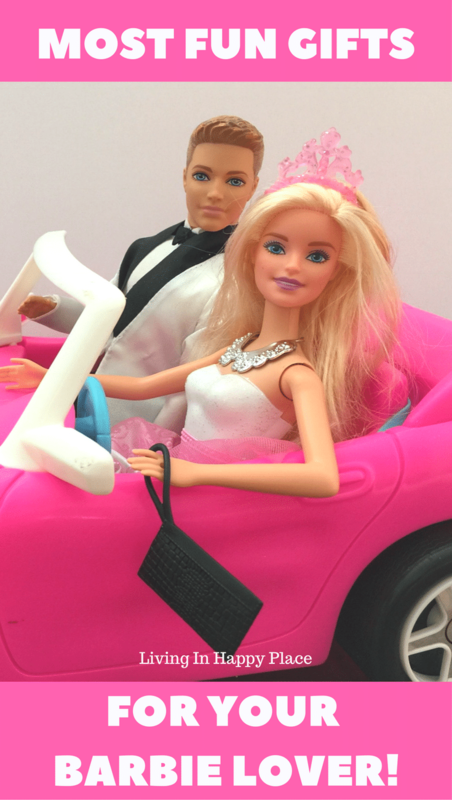 You have to check out some of the amazing advancements in Barbie accessories- it is mind-blowing! I researched some awesome, fun new toys for Barbie and I wanted to share some gift ideas for girls (aka your favorite little Barbie lover)! (You can find more details or purchase through the affiliate links included in this article. I get credit for referring you to the retailer’s site as no additional to you). 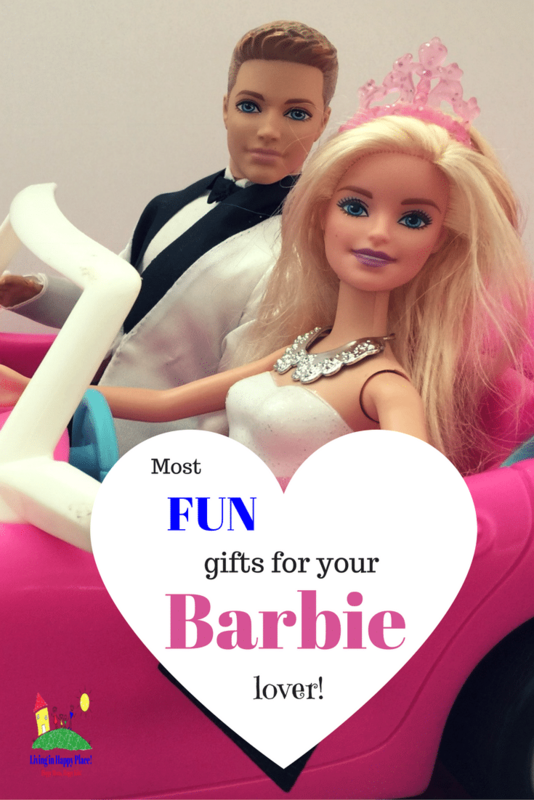 Gift Ideas for Girls- The Most FUN Barbie gift ideas! This is #1 on my list because it is small and portable. It folds close and has a handle so your Barbie lover can carry her favorite toy on the go! It comes with a bunch of cute accessories (20+) such as a bed, toilet, kitchen chairs, a tea pot, and even a vase of flowers. The pieces snap in to keep all the accessories in place. It features 3 rooms and folds out to 2 1/2 feet! Amazon has a few different packages so you can add the Getaway convertible or birthday Barbie to make a sweet gift! A Glam Getaway House wouldn’t be complete without a Glam Pool! This is great as an add-on to the house or on it’s own. How adorable is this with the palm tree, chandelier, and fun slide! The perfect place to store all of those Barbies! It even unzips into a fabulous Dream House play mat! This is where life-long Barbie collections begin! Barbie has to have a place to store all of those fabulous clothes! I really love how affordable this is– and it even comes with 2 complete outfits. This portable closet folds open to reveal two clothing racks as well as shelving for shoes and purses (of course!). Complete with hangers and real working drawers. Of course you can get extra hangers because Barbie always seems to have a full closet but nothing to wear 😉 These ones (LINK) are heart shaped! This is one of the accessories that hasn’t changed much over the years. How can you go wrong with a pink convertible for the girliest girl toy in history?! This car features a SPARKLING pink finish, realistic tires, Barbie logo upholstery, and even seat belts! Ah, every little girl’s dream (before they start asking for iPads and Ugg boots…). You won’t believe the new features! Barbie moves into the high tech world with this wi-fi enabled, speech recognition super mansion. It won the “Toy Insider Top Tech 12” award and features 4 motors, working elevator, spinning chandelier, and moving stairs that turn into a slide with voice command. You tell the 6 rooms in the house what to do including 13 light switches and a crackling fireplace. This is nicer than my house. And it has more features. I hope your little Barbie fan enjoys these toys as much as I… I mean, my daughter.. would. Okay, mom so loves them too! Barbie never goes out of style! Now you can win Christmas with Barbie and the best gift ides for girls. My daughter is Barbie obsessed. She’ll love all of these! We haven’t done much Barbie in our house but I’m pretty sure my daughter would go crazy over that house! I couldn’t wait until my girls started playing Barbies! We got the house for Christmas last year and I love it just as much as they do! I think my absolute favorite toy as a child was my three story Barbie dream house with an elevator! So glad Barbie is still around for girls to enjoy. I have two sisters and we had a play room in our house filled with Barbie things. I have so many happy memories of pretend play with Barbie. Love this post! These are such cute ideas. I can’t wait till my Sofia is old enough for barbies.